On the go? 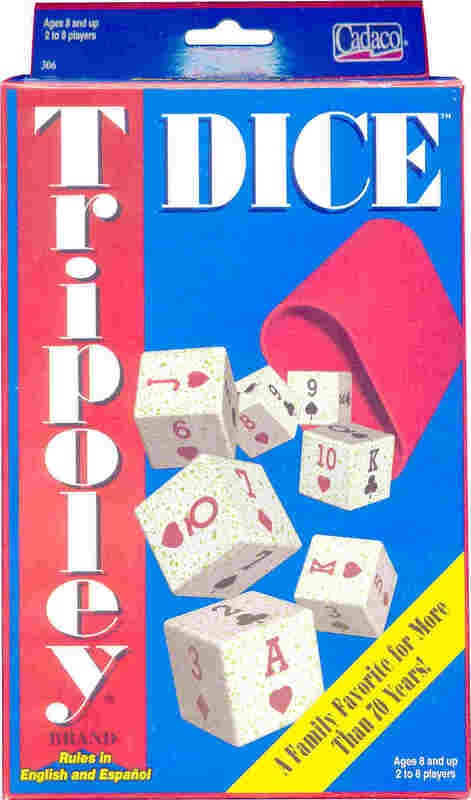 Take Tripoley Dice along! Shake the dice and spill them out. The dice read like playing cards! The player with the highest score after playing Hearts, Poker and Michigan Rummy wins! Size (inches): 10.24" X 3.15" X 7.48"
Includes: 9 Special Tripoley dice, shaker cup, score pad.